Samy is the youngest of the dams Samuras foals. 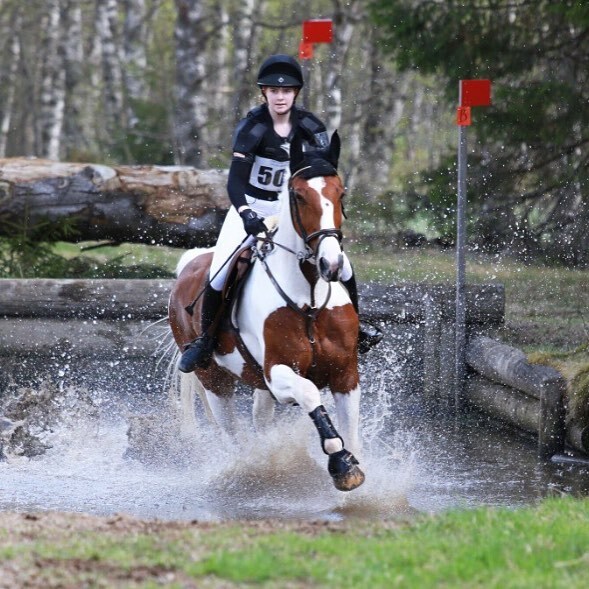 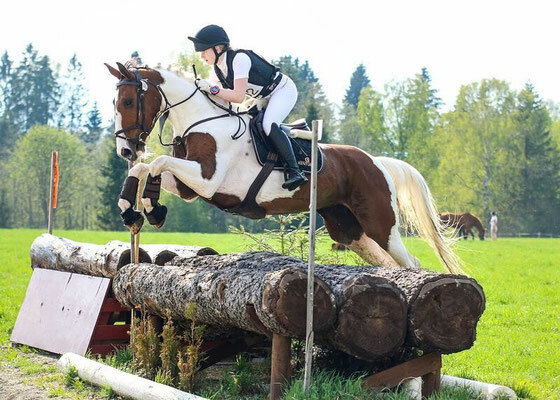 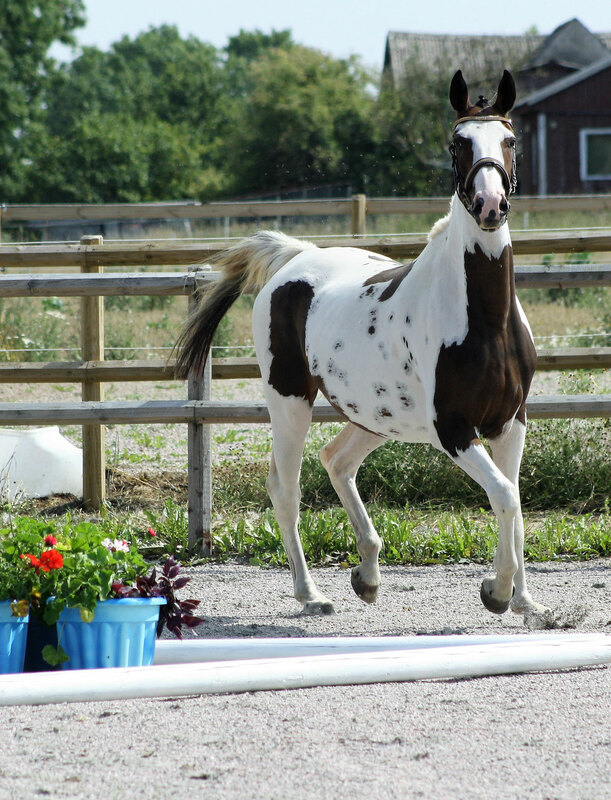 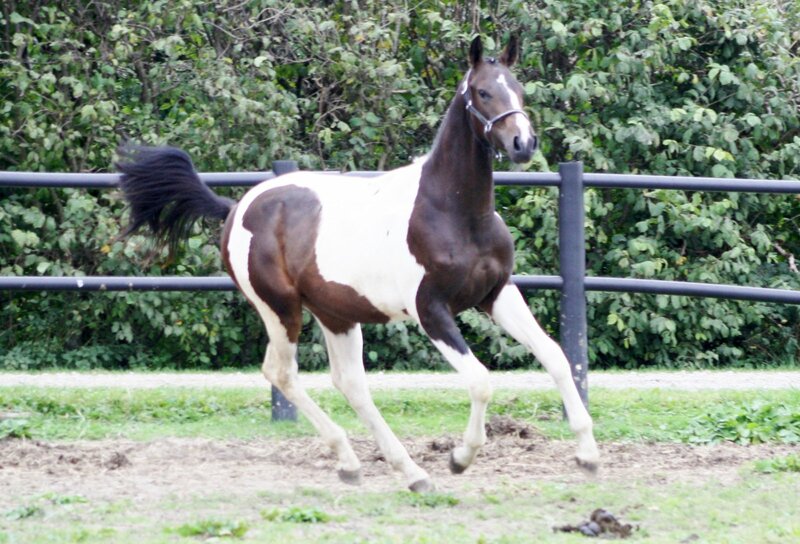 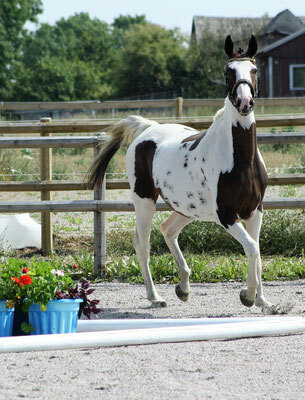 Samura is now a very popular horse at a small riding school in Sweden. 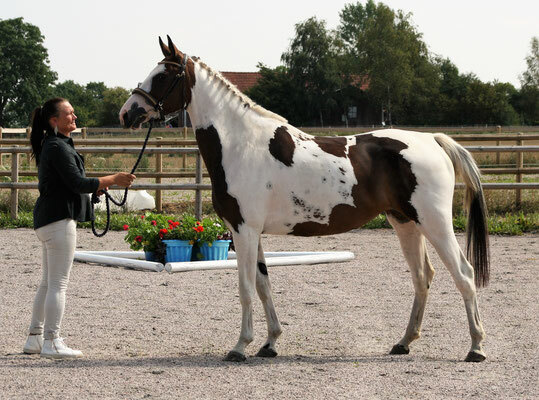 Sire Semper was licencing champion in Alsfeld 1997 and has been a well producing stallion with many approved sons all over the world. He has offspring competing in all disciplines and has competed jumping and dressage himself. 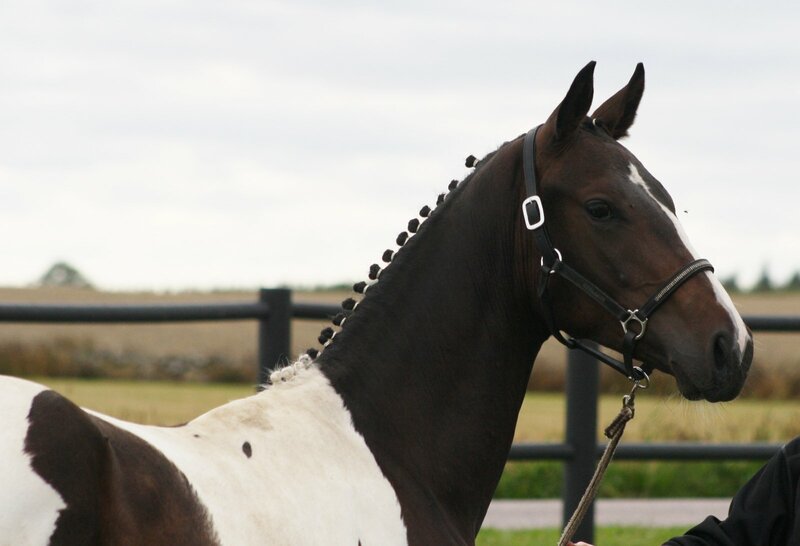 His sire Sandro Z, successful in international S show jumping and founded an own stallion line, with over 40 approved sons, such as Sandro Boy, Sandro Song and Silvio I-II. 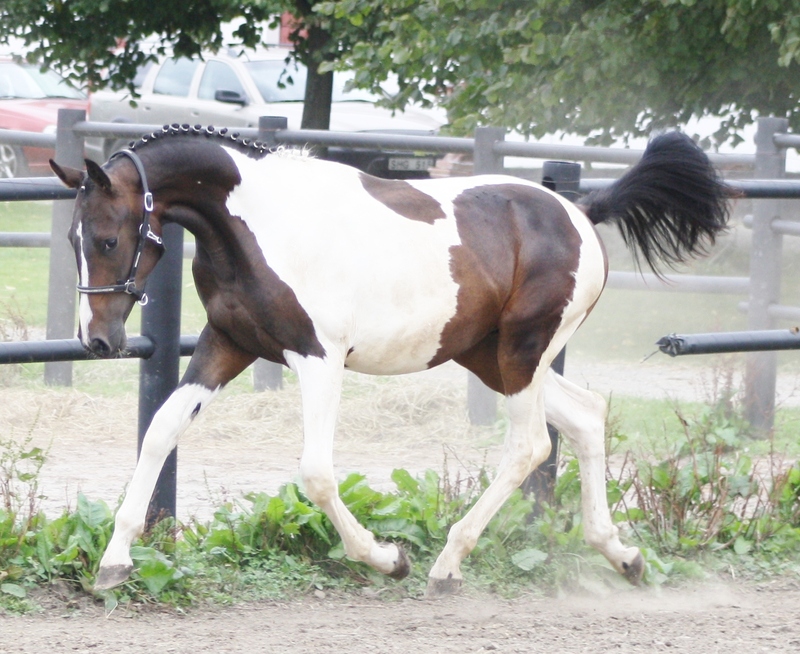 The offspring are very succesful in sport, like Sandro Song (Ante Smlesa), Safari (Michael Abo) and Paradiso (Rolf-Göran Bengtsson), all participating in WEG in 2004. 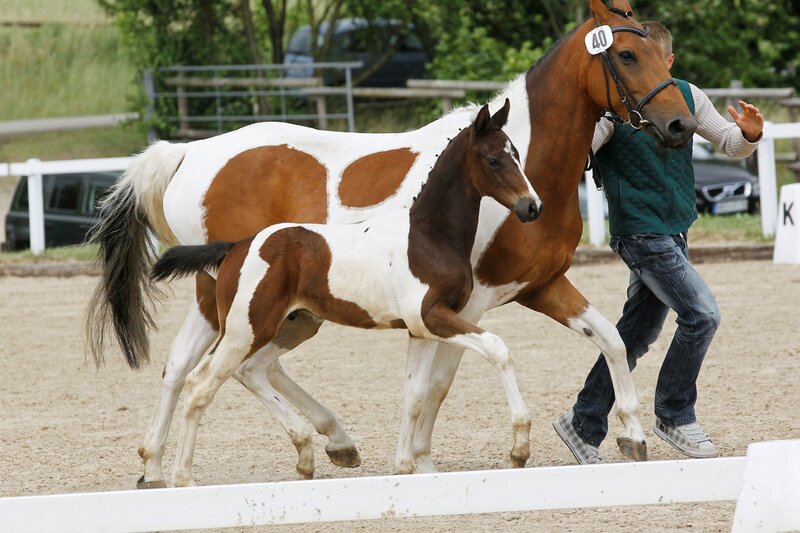 Together his offspring won over 3,5 million euros in Germany alone. 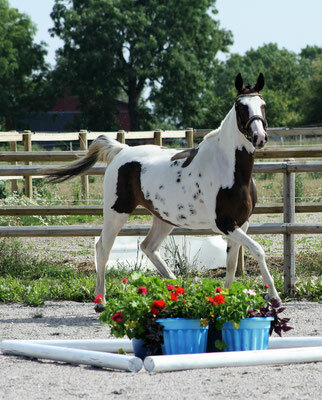 Sempers dam Imago was a highly decorated mare (Ster/Elite) and competed at M-level herself. 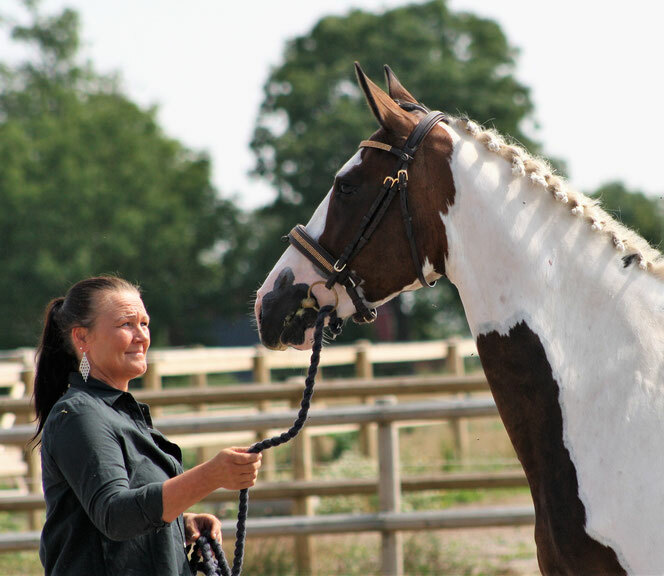 Samys grandsire Samenco II K had success on the jumping courses up to S level and has a handful approved sons, like Syltwind (S show jumping), Sarto and Sunman (int. 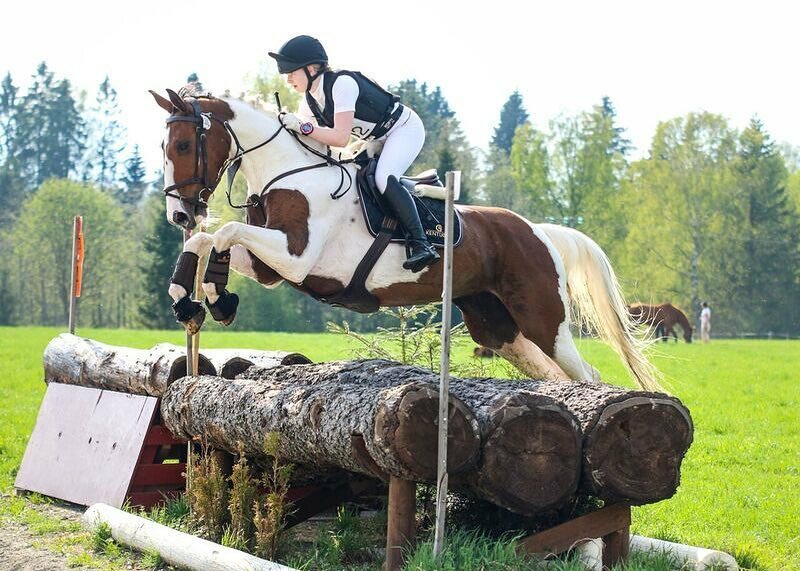 S showjumping). 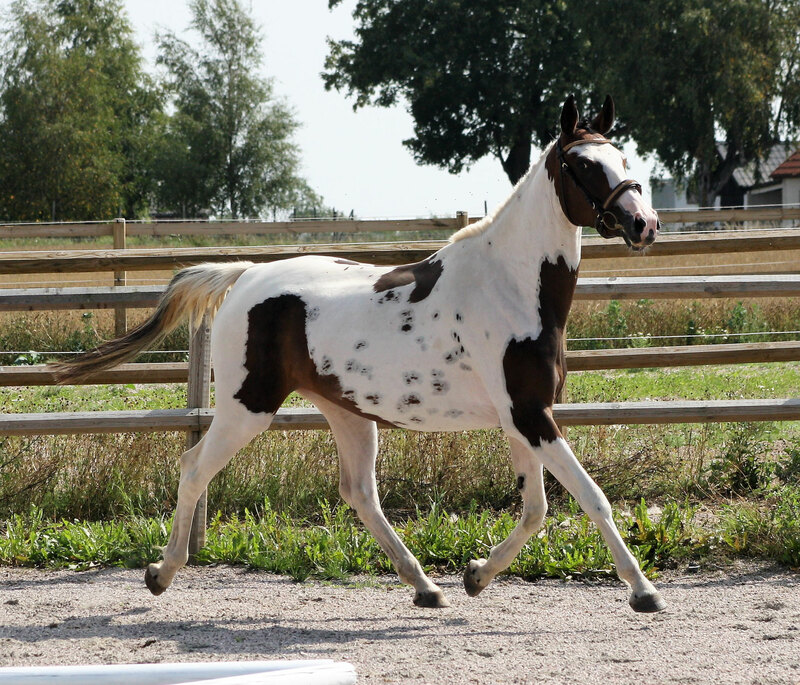 In 3rd generation the homozygous, polish trakehner-stallion Astek, who has a few approved sons and offspring competing S dressage. 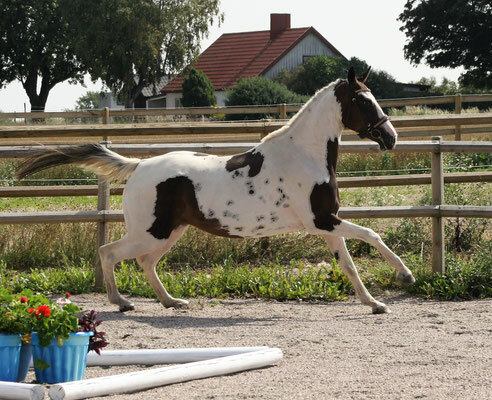 Watzmann was a very popular stallion among the show jumping breeders and his offspring has won over 1,7 million euros. 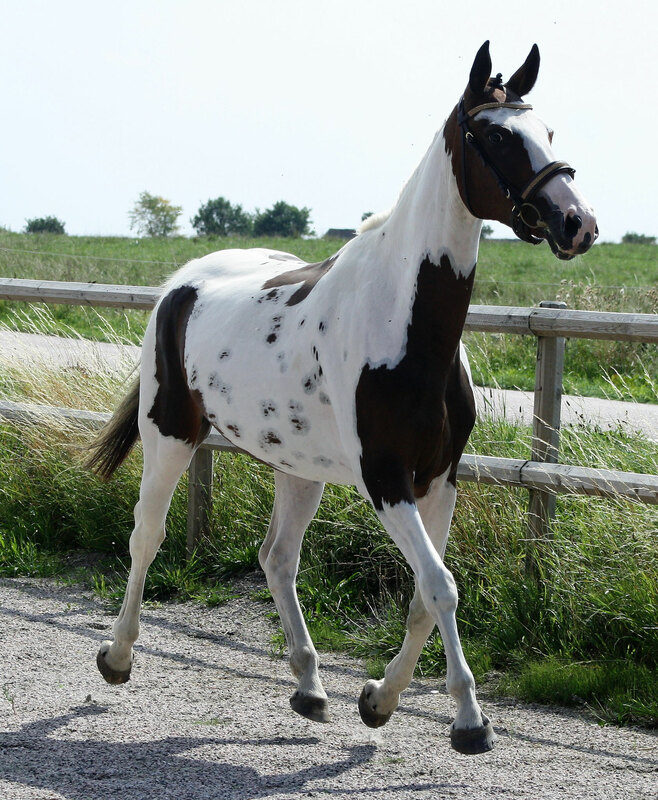 17 approved sons and 20 daughters approved in the Leistungszuchtbuch A-D.
Amarilles full ssiter Aleska is dam to the homozygous approved stallion Semper´s Spirit (also by Semper), Active in Great Britain. 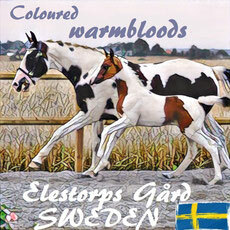 The damline (SHILLON, Hannover Stutenstamm 1191330, Schridde 682), has produced the approved stallions Wordly I-III, Forastero and Walchensee (GP dressage) to mention a few.